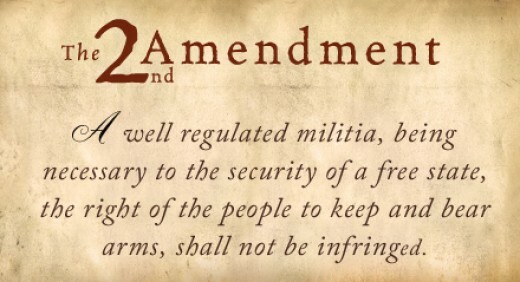 The Second Amendment protects an individual right to possess a firearm unconnected with service in a militia, and to use that arm for traditionally lawful purposes, such as self-defense within the home. Pp. 2–53. The Amendment's prefatory clause announces a purpose, but does not limit or expand the scope of the second part, the operative clause. The operative clause's text and history demonstrate that it connotes an individual right to keep and bear arms. Pp. 2–22. The prefatory clause comports with the Court's interpretation of the operative clause. The "militia" comprised all males physically capable of acting in concert for the common defense. The Antifederalists feared that the Federal Government would disarm the people in order to disable this citizens' militia, enabling a politicized standing army or a select militia to rule. The response was to deny Congress power to abridge the ancient right of individuals to keep and bear arms, so that the ideal of a citizens' militia would be preserved. Pp. 22–28. The Court's interpretation is confirmed by analogous arms bearing rights in state constitutions that preceded and immediately followed the Second Amendment. Pp. 28–30. The Second Amendment's drafting history, while of dubious interpretive worth, reveals three state Second Amendment proposals that unequivocally referred to an individual right to bear arms. Pp. 30–32. Interpretation of the Second Amendment by scholars, courts and legislators, from immediately after its ratification through the late 19th century also supports the Court's conclusion. Pp. 32–47. None of the Court's precedents forecloses the Court's interpretation. Neither United States v. Cruikshank, 92 U. S. 542, 553, nor Presser v. Illinois, 116 U. S. 252, 264–265, refutes the individual rights interpretation. United States v. Miller, 307 U. S. 174, does not limit the right to keep and bear arms to militia purposes, but rather limits the type of weapon to which the right applies to those used by the militia, i.e., those in common use for lawful purposes. Pp. 47–54. Ninth Circuit: Second Amendment Secures Right to Carry Guns in Public – 24 July 2018, The Ninth Circuit citing D.C. v. Heller held that the Second Amendment doesn't secure a right to concealed carry, but the panel now holds that it secures a right to carry openly. CDC, in Surveys It Never Bothered Making Public, Provides More Evidence That Plenty of Americans Innocently Defend Themselves with Guns – 20 April 2018, CDC used in a partisan manner, fails to disclose study that found 2.5 million defensive gun uses. Oklahoma Man Uses AR-15 to Kill Three Teen Home Intruders – 28 March 2018, If only home invasion were illegal. "Upon making entry to the home, one of the residents fired a rifle striking all three of the suspects." Should We Surrender on Bump Stocks? – 29 March 2018, To paraphrase Sir Issac Newton, we should not give up the question. If Congress wants to enact legislation, then we can talk. An ATF ban of the type suggested should be strenuously opposed as it could easily lead to more governmental takings, Fourth Amendment violations and eventually loss of our Second Amendment right. Justice Thomas RIPS Supreme Court For Ignoring Second Amendment: 'The Right To Keep And Bear Arms Is ... This Court's Constitutional Orphan' – 20 February 2018, On Tuesday, Justice Clarence Thomas issued a blistering rebuke to his Supreme Court colleagues, as well as to lower courts that have refused to treat the Second Amendment with the same level of honor as other rights enshrined in the Constitution. 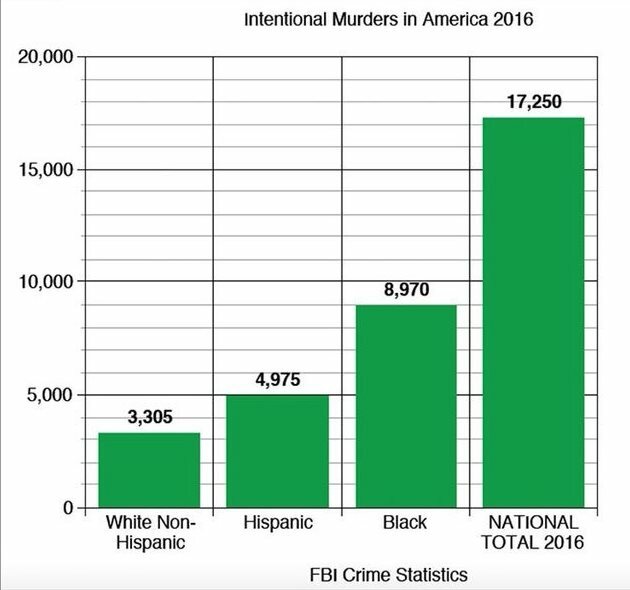 From The Red Elephants on Twitter – 16 February 2018, "The statistics are hard to swallow, but if we were to subtract the top two demographics of perpetrators, black and hispanic, we'd have a per-capital murder rate equivalent to Norway's." After normalizing the murder rates from the picture and Wikipedia I found the US murder rate drops from 4.88 to about 0.93 which is just about the same as England's rate of 0.92, less than Denmark's rate of 0.99 and under twice as much as Norway's 0.56 rate. So The Red Elephants' post was mostly right. All rates are calculated per 100,000 in habitants. Witness: Good Guy with Gun 'Took Cover Behind a Car,' Shot, and Ended Texas Church Attack – 5 November 2017, A witness to the deadly Texas church shooting recounted how his neighbor grabbed a rifle, took "cover behind a car," then shot at the gunman and ended the attack. Just how law abiding are concealed handgun permit holders – 28 September 2017, A collection of articles describing how law abiding concealed carry permit holders are and how they increase their own personal safety and the safety of those around them. Over 16.3 million concealed handgun permits – 26 July 2017, Concealed handgun permits increased to 1.83 million over last year's record of 1.73 million. The ATF Is Illegally Hoarding American Gun Owners' Personal Information – 2 August 2016, A government report discovered contrary to liberal assurances that it does not happen, the Bureau of Alcohol, Tobacco, Firearms and Explosives (ATF) illegally stockpiles gun owners' personal information. Over 14.5 million concealed handgun permits – 26 July 2016, Concealed handgun permits set another record increasing by 1.73 million, over 1.69 million last year. Surprising New Evidence Shows Bias in Police Use of Force but Not in Shootings – 11 July 2016, A new study confirms that black men and women are treated differently in the hands of law enforcement. They are more likely to be touched, handcuffed, pushed to the ground or pepper-sprayed by a police officer, even after accounting for how, where and when they encounter the police. But when it comes to the most lethal form of force – police shootings – the study finds no racial bias. Study: Guns Stop Crime 2.5 Million Times Each Year – 30 June 2016, Statistical look at how frequently guns are used in a positive way each year. FBI– US Homicide Rate at 51-Year Low – 15 June 2016, The US homicide rate in 2014, the most recent year available, was 4.5 per 100,000. The 2014 total follows a long downward trend and is the lowest homicide rate recorded since 1963 when the rate was 4.6 per 100,000. To find a lower homicide rate, we must travel back to 1957 when the total homicide rate hit 4.0 per 100,000. Zero correlation between state homicide rate and state gun laws – 16 October 2015, there is essentially zero correlation between these numbers and state gun laws. Idaho residents line up outside veteran's house, protest fears of possible gun confiscation – 6 August 2015, A group of residents in northern Idaho lined up outside a U.S. Navy veteran's house on Thursday to protest claims that federal officials are planning on confiscating the man's weapons. ATF Works With FBI And VA To Get Veterans' Guns Taken Away – 21 July 2015, The Bureau of Alcohol, Tobacco, Firearms and Explosives (ATF) is involved in a government effort to disarm America's veterans and seniors who may lack the capacity to manage their finances. And it's not just veterans facing this scrutiny: now it's anybody who gets Social Security. Hillary's "Gun Show Loophole" Proposal Is A Joke – 5 October 2015, In the wake of a mass shooting at an Oregon community college last week, Democratic presidential candidate Hillary Clinton announced today that she would close the so–called "gun show loophole" with an executive order if she were elected president. The only problem with her gun show loophole proposal is that it would accomplish exactly nothing, because current law already covers her proposal. 7 Gun Control Myths That Just Won't Die – 7 October 2015 The debate over gun control and gun rights would be more productive if both sides focused on the facts instead of pushing myths about America's gun laws. Black Crime Facts that the White Liberal Media Daren't Talk About – 5 May 2015, Police brutality targeting blacks will not subside until this becomes part of the national conversation. The Assault Weapon Myth – 12 September 2014, Over the past two decades, the majority of Americans in a country deeply divided over gun control have coalesced behind a single proposition: The sale of assault weapons should be banned. That idea was one of the pillars of the Obama administration's plan to curb gun violence, and it remains popular with the public. In a poll last December, 59 percent of likely voters said they favor a ban. But in the 10 years since the previous ban lapsed, even gun control advocates acknowledge a larger truth: The law that barred the sale of assault weapons from 1994 to 2004 made little difference. CDC Gun Research Backfires on Obama – 27 August 2013 - Obama's CDC Study, commissioned after Sandy Hook, backfires, confirms what responsible gun owners have always said, armed citizens are less likely to be injured by an attacker, defensive uses of guns are common, mass shootings and accidental firearm deaths account for a small fraction of gun–related deaths (both are declining), stolen guns and retail/gun show purchases account for very little crime, gun buyback/turn-in programs are "ineffective", and The vast majority of gun-related deaths are not homicides, but suicides. The whole report may also be downloaded Priorities For Research to Reduce the Threat of Firearm-Related Violence. Harvard University Study Reveals Astonishing Link Between Firearms, Crime and Gun Control – 12 September 2013, according to a study in the Harvard Journal of Law & Public Policy, which cites the Centers for Disease Control, the U.S. National Academy of Sciences and the United Nations International Study on Firearms Regulation, the more guns a nation has, the less criminal activity. Disarming Realities: As Gun Sales Soar, Gun Crimes Plummet – 14 May 2013, DOJ and Pew Research study shows results are the opposite of what #libtards have always maintained and still do, more guns results in lower crime rates. Fourth Circuit Finds That Carrying A Firearm In An Open-Carry State Does Not Create Reasonable Suspicion And Provides Thorough Analysis Of The "Free To Leave" Standard Of Seizure – 25 February 2013, In an open carry state, the act of open carry alone is not sufficient to seize an individual openly carrying a firearm. Nor do the police have the right to detain the individual to determine if they are legally carrying the weapon. See United States v. Black "More importantly, where a state permits individuals to openly carry firearms, the exercise of this right, without more, cannot justify an investigatory detention. Permitting such a justification would eviscerate Fourth Amendment protections for lawfully armed individuals in those states." The Shocking Revelation: More Guns Really Does Mean Less Crime! – 9 January 2013, review of Harvard study which found that reducing guns will not reduce murder and suicide, a favorite assertion made by the left. How Often Do We Use Guns in Self-Defense? – 27 December 2012, About 250,000 to 370,000, If you had to sum up the National Rifle Association's response to the Newtown school massacre, and to any proposal for tougher gun–control laws, that one sentence from the NRA's Dec. 21 press conference pretty much does the trick. Do guns make us safer? 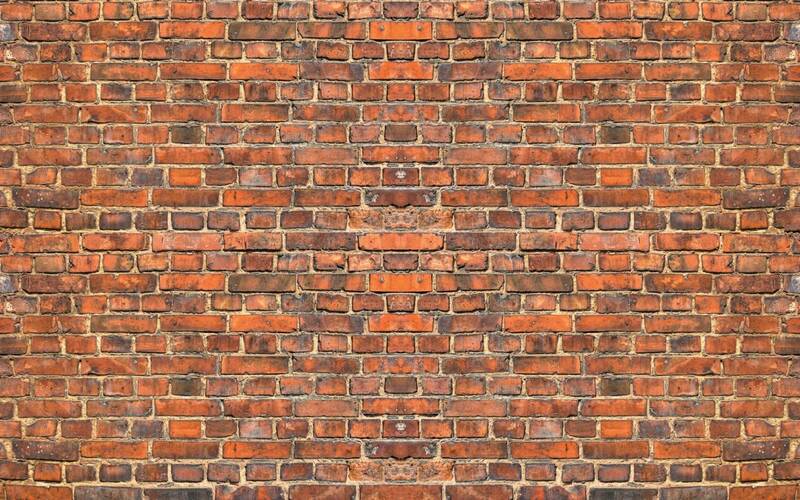 – 30 July 2012, Government figures from the National Survey of Criminal Victimization suggest 100,000 uses a year of guns in self-defense against crime, the vast majority of these uses being the display of weapons to deter or dissuade. Supreme Court of the United States District of Columbia et al. v. Heller – 26 June 2008, SCOTUS held: The Second Amendment protects an individual right to possess a firearm unconnected with service in a militia, and to use that arm for traditionally lawful purposes, such as self-defense within the home. The Facts about Gun Shows – 10 January 2000, "Close the gun show loophole," demands Handgun Control, Inc. The major obstacle to Congress's complying with HCI's wishes appears to be the desire of many Democrats to preserve gun shows as a campaign issue in the 2000 election. But if the voters learn the facts about gun shows, they will discover that there is no gun show loophole, no gun show crime problem and no reason to adopt federal legislation whose main effect would be to infringe on First and Second Amendment rights. Just For Skeptics Fact Sheet: Guns Save Lives – 16 October 2008, Guns save more lives than they take; prevent more injuries than they inflict.